High-quality keyboard dust cover for ENSONIQ 16 Plus. Available in Microfibre, Polyester or Synthetic Leather. High-quality keyboard dust cover for ENSONIQ Asr 10. Available in Microfibre, Polyester or Synthetic Leather. 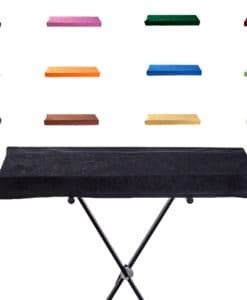 High-quality keyboard dust cover for ENSONIQ Asr 10 S. Available in Microfibre, Polyester or Synthetic Leather. High-quality keyboard dust cover for ENSONIQ Asr 88. Available in Microfibre, Polyester or Synthetic Leather. High-quality keyboard dust cover for ENSONIQ Mirage Dsk 1. Available in Microfibre, Polyester or Synthetic Leather. High-quality keyboard dust cover for ENSONIQ Mirage Dsk 8. Available in Microfibre, Polyester or Synthetic Leather. High-quality keyboard dust cover for ENSONIQ Mr 76. Available in Microfibre, Polyester or Synthetic Leather. High-quality keyboard dust cover for ENSONIQ Sd 1. Available in Microfibre, Polyester or Synthetic Leather. High-quality keyboard dust cover for ENSONIQ Sq 1. Available in Microfibre, Polyester or Synthetic Leather. High-quality keyboard dust cover for ENSONIQ Sq 2. Available in Microfibre, Polyester or Synthetic Leather. High-quality keyboard dust cover for ENSONIQ Sq 80. Available in Microfibre, Polyester or Synthetic Leather. High-quality keyboard dust cover for ENSONIQ Ts 10 61. Available in Microfibre, Polyester or Synthetic Leather. 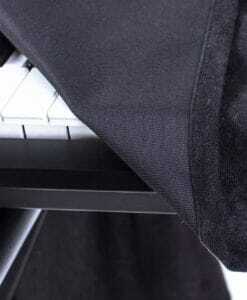 High-quality keyboard dust cover for ENSONIQ Ts 12 76. Available in Microfibre, Polyester or Synthetic Leather.